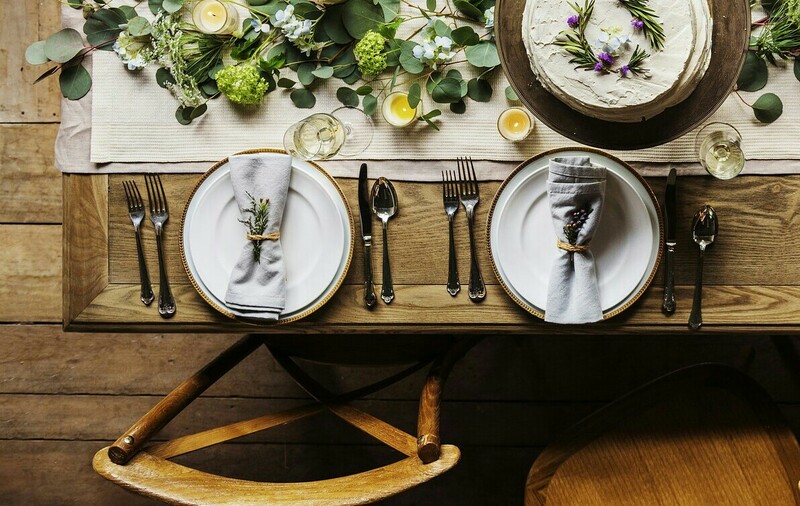 Yes, table settings can be a complicated affair. All you have to do is watch Downton Abbey to see how intense it can get. But i am very happy to say, it doesn’t have to always be so. Why? Because basic is in! Rejoice in that! Place the fork to the left of the plate and the knife to the right. Do not place more utensils or dishes on the table than you need. In other words, don’t place a small fork or salad plate on the table if you are not serving a salad or appetizer course. Cups and glasses are placed on the top right side of the plate. Napkins are placed to the left of the fork or on the plate. Now you may ask how do you know which setting to use – basic, informal, formal? Well that’s all up to you. How many courses do you want to serve? The more courses you serve, the more plates and utensils you will need. If you want to keep your setting basic, then keep your menu basic. Make dishes that blend well with each other and that can be served onto one plate. For example, a cold milky egg salad will not pair well with a hot runny tomato gravy. Leafy salads also don’t do well with runny hot gravies. A hot gravy can easily turn fresh spinach into a cooked mush. Small fork first, to the far left of the plates. Only do this if you are serving your salad course first. Dinner fork (the larger of the two forks) second, to the immediate left of the plates. Dinner plate in the center. You can either put the salad plate on top of the dinner plate or bring it in when it’s time to serve that course. If the salad is the first course and you have decided to bring the plate in, make sure to arrange a salad on top of the salad plate before placing it on the table. Dinner knife to the immediate right of the plates. Dessert spoon to the right of the knife.